Hello everyone! I'm very happy to report that I've read 11 books this month. A much better attempt than last month. Maybe not the best use of time when my exams are fast approaching but I enjoyed most of the books that I read! My goal for the month was 8 so I've done pretty well and I'm now 6 books ahead of schedule on my GoodReads 2014 reading challenge. My goal for next month is to read 6 books because I really need to get studying. Nick & Norah's Infinite Playlist by David Levithan and Rachel Cohn - I was so, so disappointed by this book. I was really looking forward to reading it because I loved the movie but this just really fell short for me. Yes, I said it, the movie is better than the book. The characters in this just seemed so moany and annoying and I couldn't connect with them at all. There was so much 'teen angst' that I just couldn't deal with it and I found it so cringey/frustrating. It follows a slightly different plot line to the movie and I'll admit that I prefer the book's plot but I think the way the characters are portrayed in the movie was just a lot more favourable. 2/5 stars for me. Mendel's Daughter by Martin Lemelman - This is a graphic novel about a young girl's story as a Jew in World War 2. I absolutely love reading graphic novels and I was able to speed through this in a few hours. The pictures were lovely but didn't distract from the story too much. If you liked Maus then you'll love this. 5/5 stars. City Of Fallen Angels by Cassandra Clare - Everyone always says that this is their least favourite book in the series so I was a little worried when it came to reading this. I shouldn't have worried because so far it's been my favourite. I think there was a lot of character development in this book and I really like the new plot lines that are emerging. I can't wait to read the next one. I did order it into the library at the same time as this one but it never came. Still waiting! 4/5 stars for me! I can't bring myself to give any of the books in this series 5/5 stars because I don't think they really deserve the hype around them but this has definitely been my favourite. Speak by Laurie Halse Anderson - Oh, my, god. This is now possibly one of my favourite books, ever. Definitely the highlight of the month for me. It's a story about a girl who was raped the summer before starting highschool and how keeping this to herself effects her. It's a really sad story but still absolutely amazing, you get so connected to the character. Should probably come with a trigger warning though. 5/5 stars. 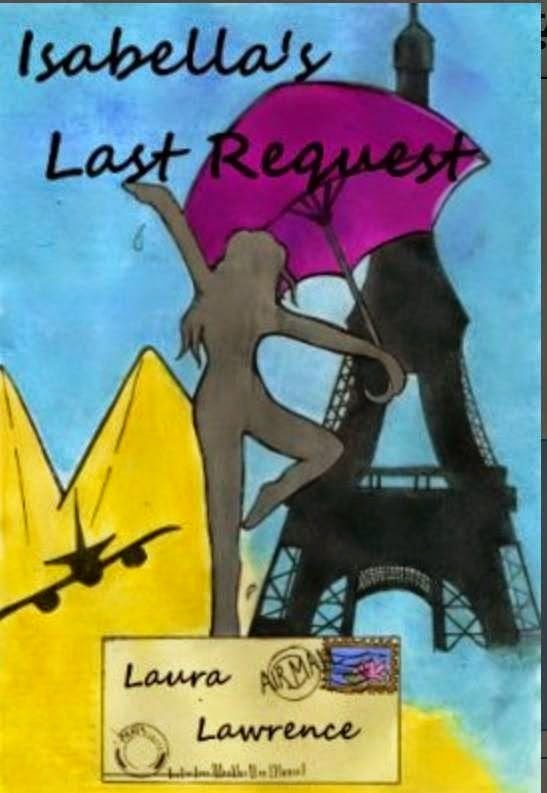 Isabella's Last Request by Laura Lawrence - This is a book I was given by the author to review. You can read my review here. Long story short. Nice easy romance read but not a great work of literature. 3/5 stars. Palestine by Joe Sacco - Another graphic novel. I didn't really like this one if I'm honest. The story was interesting and heartbreaking but I feel I would have enjoyed it more if the text was just a regular novel. I found the drawing style really hard to follow and often was not sure what order I was supposed to read the bubbles in. It took me a few hours to read Mendel's Daughter but this took me a few days. Sorry Joe Sacco, not a fan. 3/5 stars for the story, not the artwork. The Sky Is Everywhere by Jandy Nelson - My friend Charlotte recommended this to me absolutely ages ago but I kind of forgot about it. I don't know why but I wasn't really expecting to like this book, it took me a while to get into. It's about a girl who has a bit of a fling with her sister's boyfriend after her sister was killed in a car accident. But then a new boy starts at school and she starts to fall for him, you get the picture. It was surprisingly good but I didn't think it was worth the hype so I gave it a 4/5 stars. Room by Emma Donoghue - Another book that has a big hype. It's about a young boy who is kept in a room with his mother. He's never been outside the room and he thinks that everything he sees on tv is made up and that animals don't really exist etc etc. To be honest this sounded like one of those child abuse books that I really can't stand. To a certain extend it was and I felt really weird reading it. But it also progressed a lot further and was actually kind of beautiful. 4/5 stars for me. 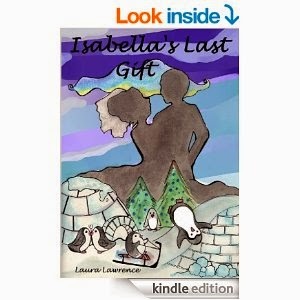 Isabella's Last Gift by Laura Lawrence - I bought this for myself after finding out it followed Olivia, the character I liked best from the first novel. I thought this was pretty cringey(I think if he called her kitten one more time...) and seemed pretty rushed. 2/5 stars from me, sorry! The Blackhouse by Peter May - This is actually the first book in a series that I'd already read all of the other books to. My grandad lent me the second one and without realising there was a first I read it anyway and really enjoyed it. The series is all about murders in the Scottish islands. If you're Scottish then you'll definitely love this. I think this one was actually my favourite so I'm kind of glad I read it last. 5/5 stars. The Book Thief by Markus Zusak - This is a reread so I knew I was going to love this already. It's about a young girl living with a foster family in Munich during Nazi Germany. Liesel is taught to read by her foster father and she eventually evolves into stealing books. It's also narrated by Death which sounds really weird but is actually amazing. 5/5 I thoroughly recommend. And now I can watch the film!